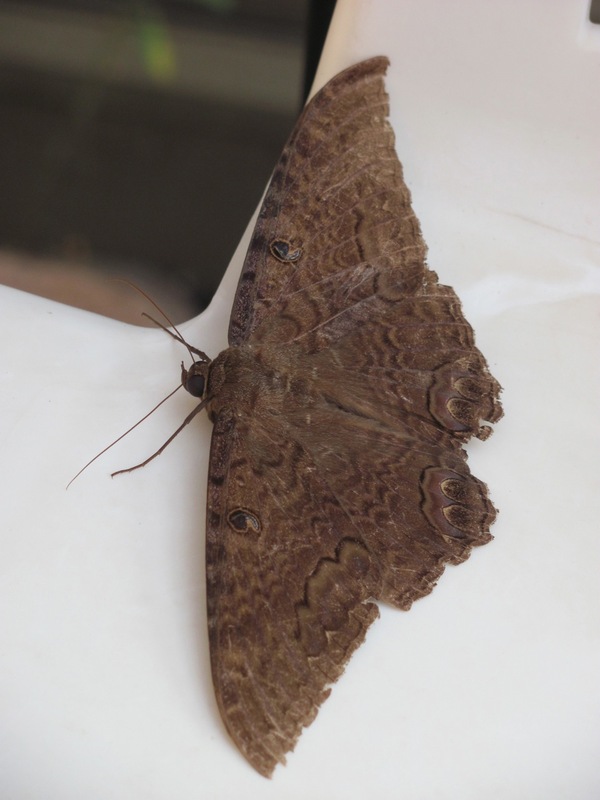 It’s a good thing we’re moving away, since the Black Witch moth is regarded as a harbinger of death, if not worse, by most of the cultures it visits. I’d never seen one before; usually they don’t stray so far north. This one, six inches across, was sitting on our deck chair this morning. Now he’s gone.